Cristiano Ronaldo scored his 18th league goal this season as Juventus bounced back from last week draw against Parma to seal 11-point lead in Serie A on Sunday with a 3-0 win at Sassuolo. 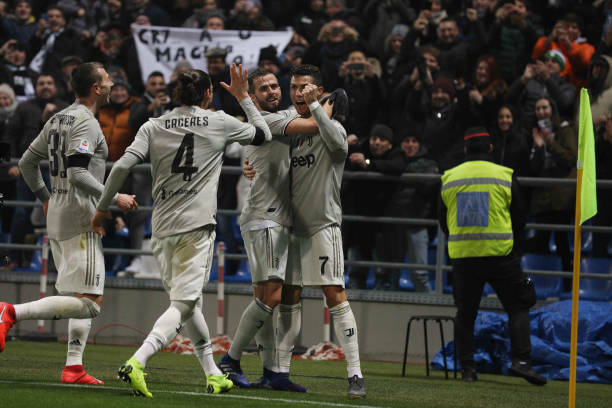 Ronaldo scored after 70 minutes as Sami Khedira found the net first in Modena with fellow German Emre Can slotting in the third four minutes from time. 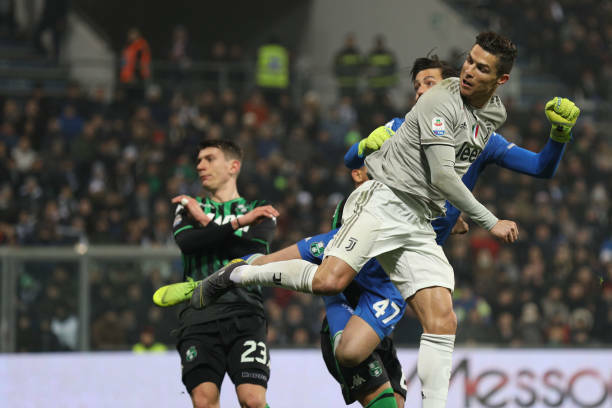 Juventus broke through after Sassuolo goalkeeper Andrea Consigli rushed out to defend Ronaldo shot leaving the way clear for Khedira to turn in the rebound after 23 minutes for his second league goal of the campaign. Inter Milan are third, 20 points behind Juventus after beating promoted Parma 1-0 on Saturday, for their first league win of 2019.